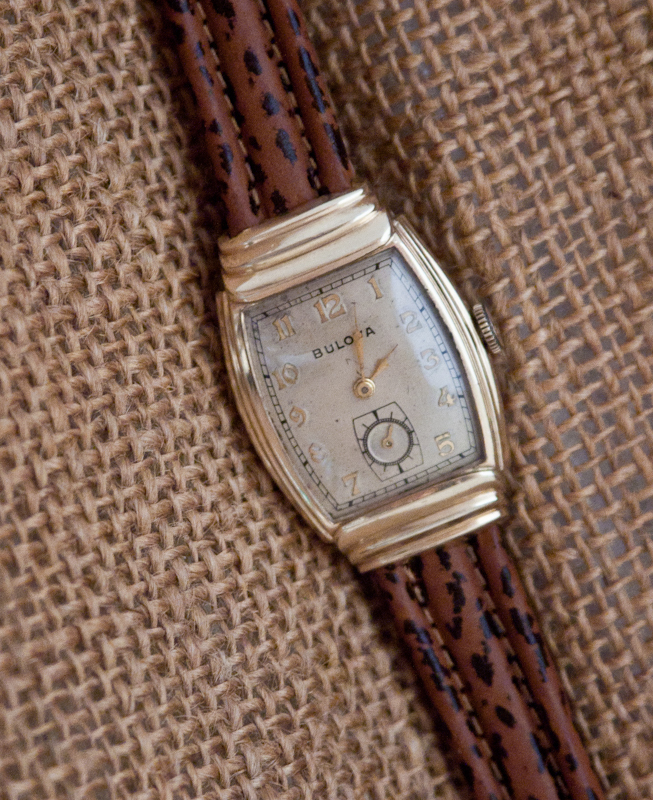 The Bulova “Attorney” was released in 1942 and was quite popular. 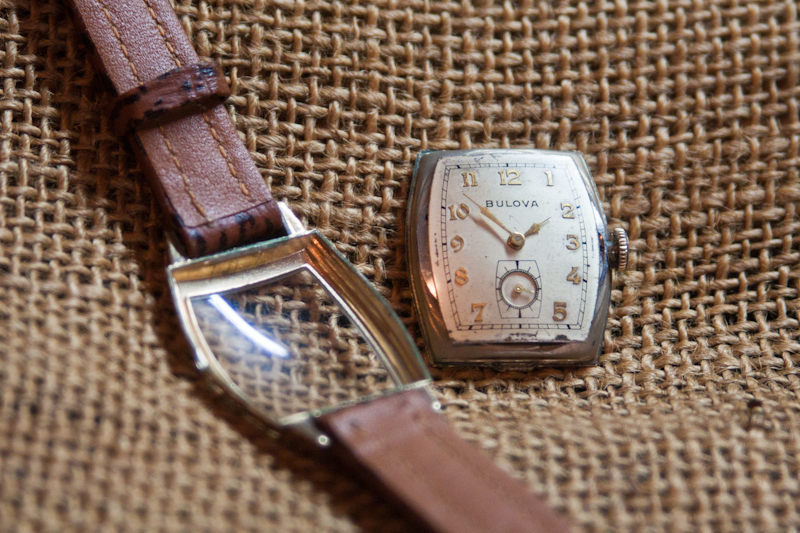 The watch included a high quality 21 jewel movement and a hidden lug design that set the watch apart from many other models in the market. This example is in Very Good condition and shows no brassing on the stepped sides and lug covers — common areas of wear on this model. The off-white dial has a satin finish with applied gold numbers. The dial looks much better in person than in the photographs (the satin finish causes problems in the photos). 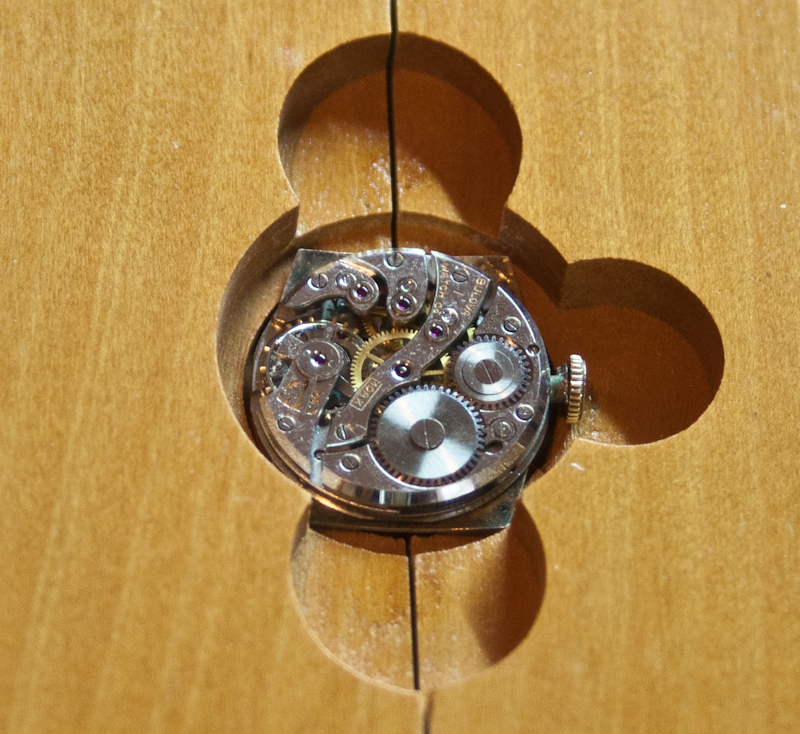 There are no spots on the dial, though there is a slight patina around the numbers. The crystal has minor scratching that does not detract from the watch. 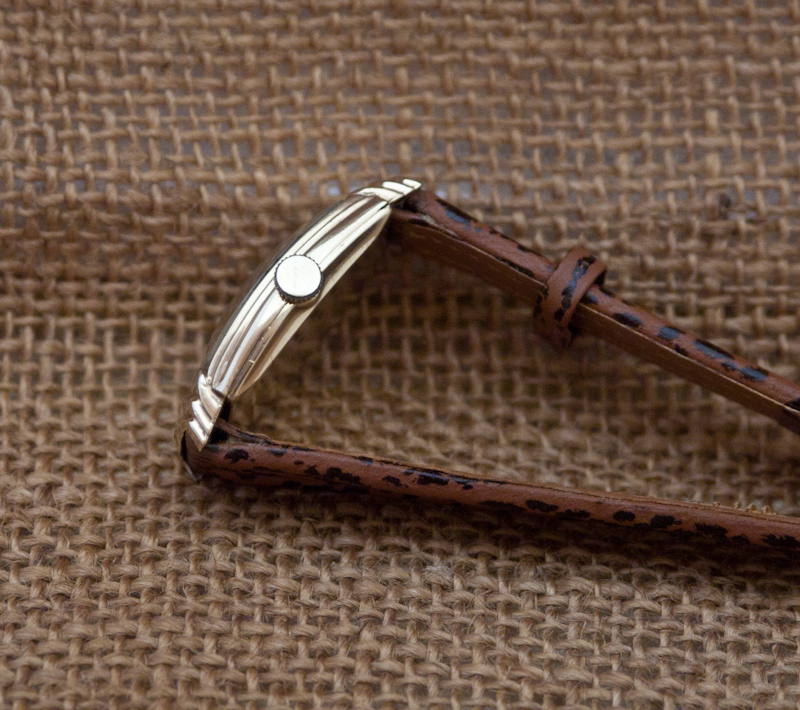 Both the stylish bezel and the back are free from significant marks or wear. 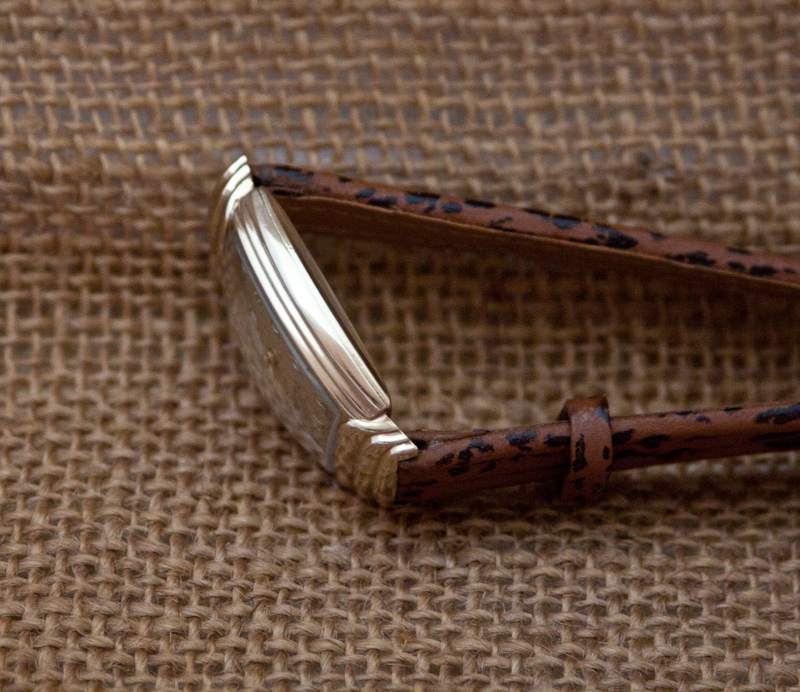 The bezel and back are 10K yellow gold filled. 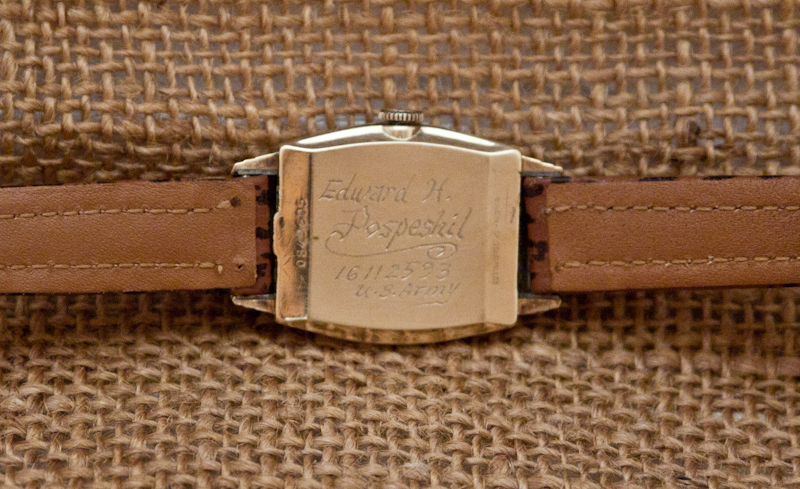 The back is engraved: “Edward H. Pospeshil, 16112593, U.S. Army.” Included with this watch is a faux-shark skin watch band. The watch is powered by a high quality 21 jewel 10AX movement that is running strong and keeping excellent time. 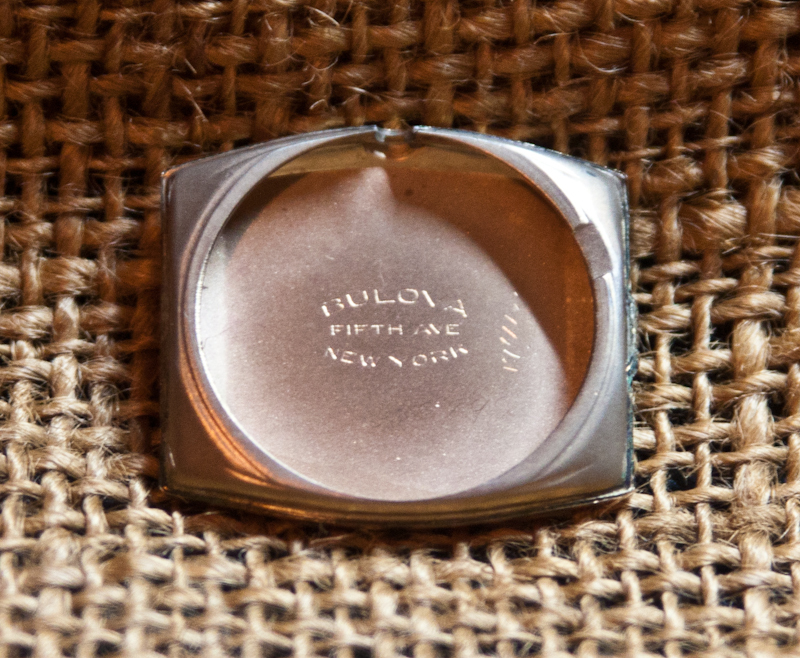 We’ve had this watch cleaned, oiled, and adjusted (March 2013) and it is ready to wear. The case measures 25.5 mm wide (without the stem) by 38.8 mm long (lug to lug).